Best Air Conditioning & Heating Service Bowling Green, VA | Robert B. Payne, Inc.
At Robert B. Payne, Inc. we remain committed to your complete satisfaction. After 80 years of hard work, we still come into the office each day, ready to tackle unique challenges. Those challenges often present themselves in your heating and air conditioning systems. That is why we perform installations, repairs, and maintenance in Bowling Green, VA, to satisfy your needs. It’s just what we do! Since 1930, the goal of Robert B. Payne, Inc. has been to offer high-quality heating and air conditioning service. Our commitment to your comfort even astounds ourselves sometimes. Our technicians, who are trained extensively in the field, go above and beyond to satisfy your needs! 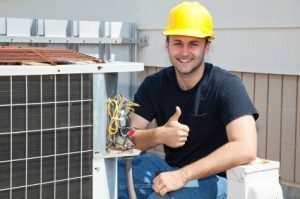 When it comes to HVAC installation and replacement, you always want to hire a professional. Unless you have extensive experience in the industry, we cannot recommend performing your own installation. These jobs often lead to extensive repairs, decreased lifespan, and lower energy efficiency when performed on your own. We’ll avoid such troubles and have your system up and running smoothly! To ensure your system continues running smoothly, we recommend scheduling a maintenance appointment. During this visit, our expert technicians will go over every inch of your system. We’ll clean the coils, replace the filter, and ensure all moving parts are in working order. Maintenance is key to reducing costly repairs! When your system breaks down, you want immediate and convenient service. Robert B. Payne, Inc. will send a technician to your doorstep shortly. We provide repairs designed to keep your system running strong. While we’re at it, we’ll ensure nothing else is wrong, too! Take advantage of quality air conditioning and heating service in Bowling Green, VA. Call Robert B. Payne, Inc. at (540) 373-5876 today! We serve entire Bowling Green, VA 22427, 22428.